Kerala Blasters' CK Vineeth on the attack against Bengaluru FC. For 90 minutes at the Kanteerava Stadium on Thursday evening, Kerala Blasters captain Sandesh Jhingan led the way as his team, already out of contention for a playoff spot, kept hosts and Indian Super League (ISL) table-toppers Bengaluru FC (BFC) on a tight leash. 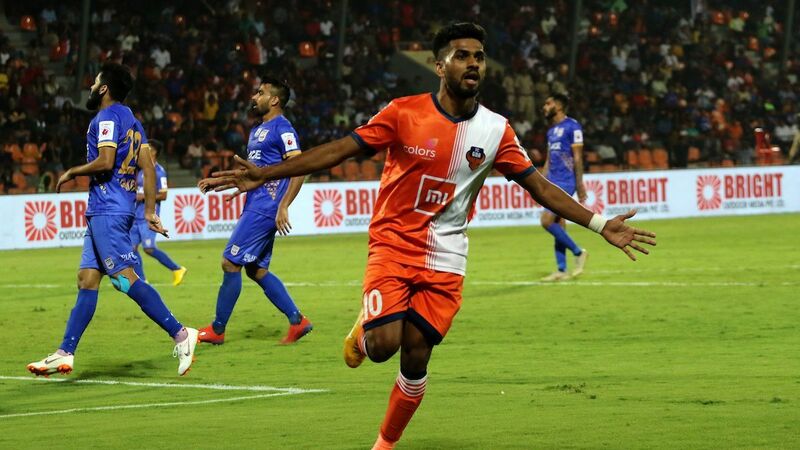 Jhingan swept in with tackles sharper than others, leapt higher than everybody else inside his box, chased seemingly lost causes until the ball was out of the opposition's reach and ensured there was no sniff inside the box for BFC's top-scorer Miku. 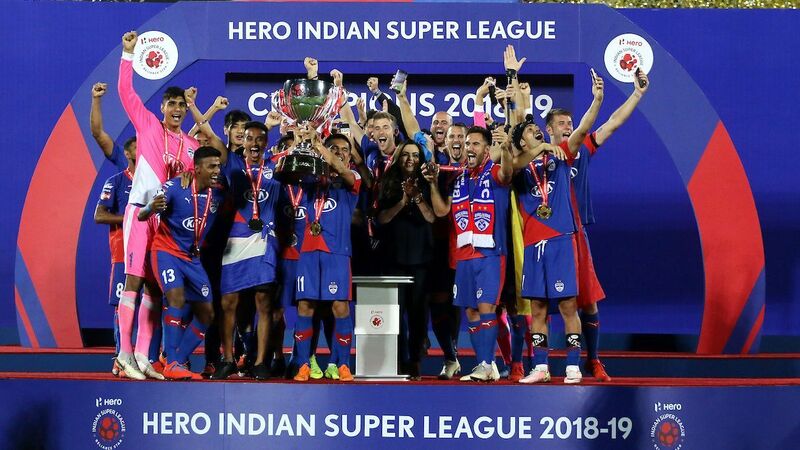 Jhingan appeared personally invested in this contest and perhaps with good reason -- the return fixture on December 31 in Kochi had seen the match turn on a handball against the Kerala captain, that eventually led to BFC winning 3-1 and then coach Rene Muelensteen reportedly questioning his captain's professionalism and work ethic after being shown the door for David James. 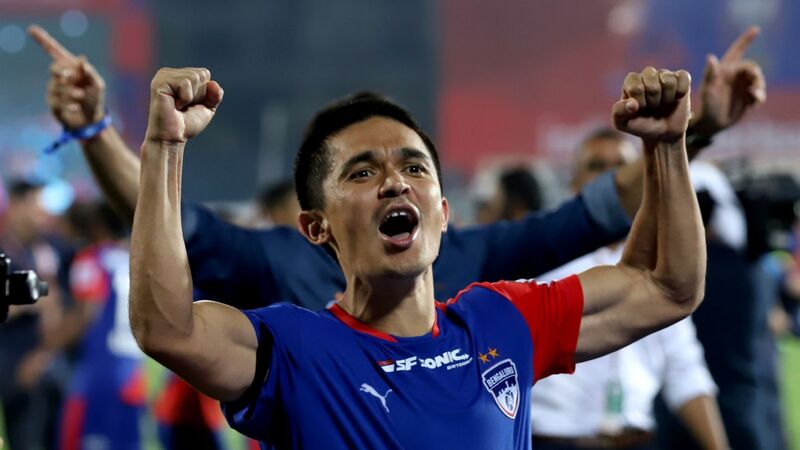 Then, in the first minute of injury time, a ball fell to Miku and Jhingan hesitated, anticipating that the BFC striker would cut inside to his left. Instead, Miku pulled away further to his right and blasted a low ball past goalkeeper Paul Rachubka. 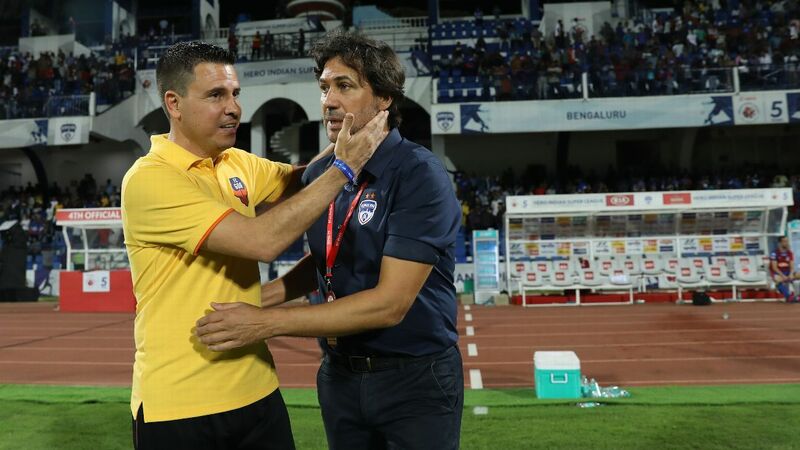 Seconds after the restart, Udanta Singh added a second BFC goal; by then, Jhingan had moved up to left-winger as James desperately looked for a goal to salvage a point and ensure a top-six finish, a pre-requisite to avoiding playoffs for the Super Cup. "I have got very disappointed players back in the change room, because that was so close," James told ESPN later. "It's a lesson in football and in life, that you have to be switched on at all times, otherwise you will end up on the wrong side of results. [It's] not nice because we got nothing from the game, but I was happy with the efforts of the boys." 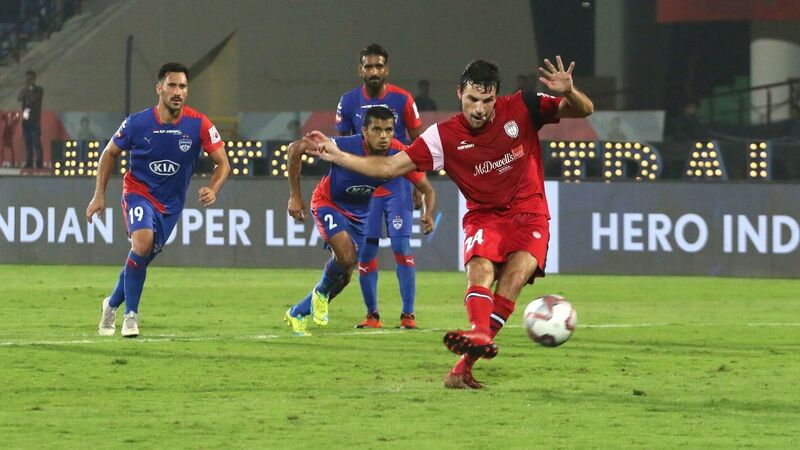 It was a stop-start season for Kerala all the way through, as they scored 20 goals for the second time in four seasons, yet both 2015 and now 2018 are the only years they failed to make the playoffs. Previous runs to the final were based on water-tight defences, which was not the case this time. Sandesh Jhingan and David James engaged in a pre-match discussion. "It [the season] has been good. It was tough, but there are a lot of positives to take away," said assistant coach Thangboi Singto, who refused to believe the mid-season coaching change affected the team. 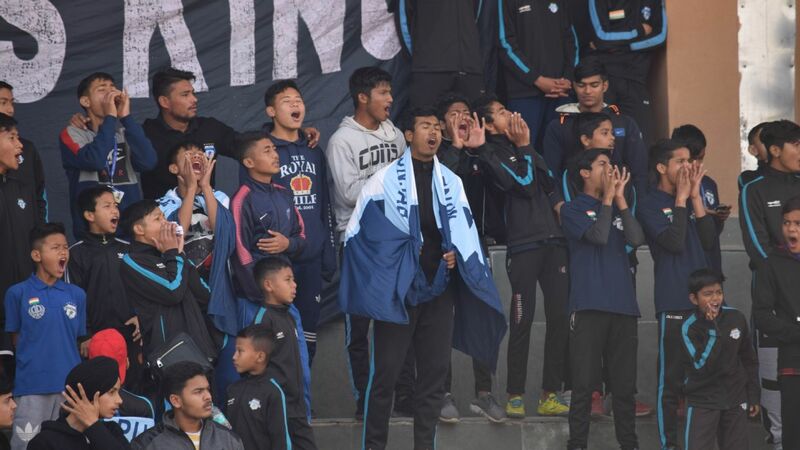 "The boys took it in their stride, and they realise it is a part of football. 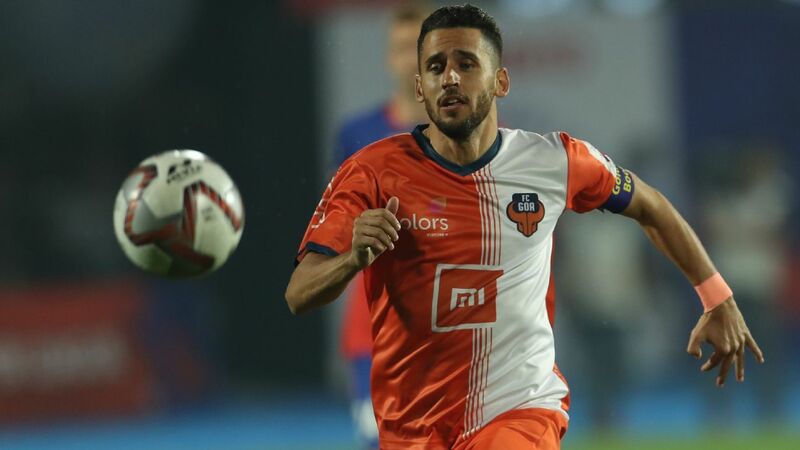 Singto singled out former Manchester United defender Wes Brown as the standout performer for the team, but also mentioned left-back Lalruatthara and midfielders Jackichand Singh and Deependra Negi among the finds of the season. Goalkeeper Sandip Nandy, a part of the team since their first season in 2014, felt Kerala played more attacking football than in previous seasons. "We started really badly, and from there we turned things around and kept our chances alive going into the final week. We had a lot of injuries to vital players which meant we missed them for important games," said Nandy. "Humey [striker Iain Hume] came on and got injured. We had a new player [Kizito] Keziron who also got injured. Otherwise we should have made the playoffs." 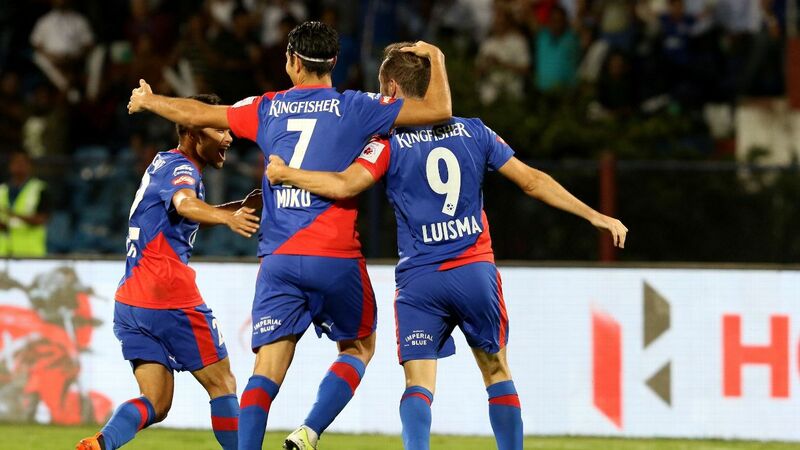 Thursday's result also snapped Kerala's five-match unbeaten run, during which away wins over FC Pune City and NorthEast United brought them back into playoff contention. However, the momentum gained from the back end of the season is something that James -- said to be in line for a contract extension for next season -- chose to focus on. "With six games to go, we realised we needed to win all the games. Depending on other results, we all knew 29 or 30 points would be enough to get through," he said. "What happened in the past [is something] we can't do anything about. I am looking towards the future. Super Cup initially, and hopefully longer than that."